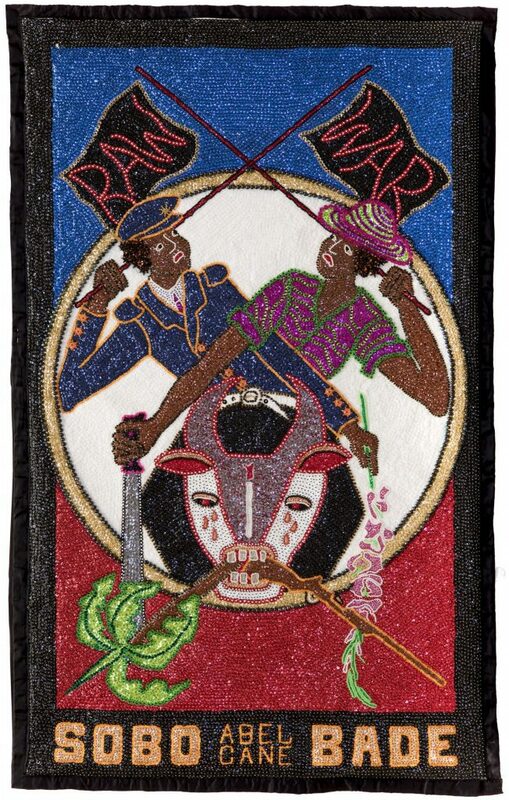 NEW ORLEANS, LA – The New Orleans Museum of Art (NOMA) presents Bondye: Between and Beyond, on view January 25 through June 16, 2019, featuring a series of sequined prayer flags by Tina Girouard with Haitian artists in Port-au-Prince, where she established a workshop with accomplished sequin artists such as Edgar Jean-Louis and George Valris. 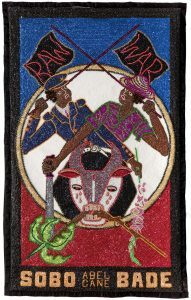 Inspired by the blend of Caribbean, African and European culture in her own Louisiana hometown, these flags reference a range of international traditions expressed in Vodou, from All Saints Day in France to New Orleans Mardi Gras and Haitian Kanaval. 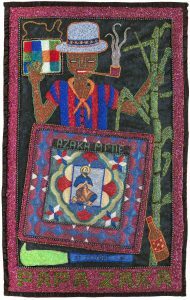 The elaborate prayer flags displayed in Bondye: Between and Beyond pay tribute to the spirits of Haitian Vodou. 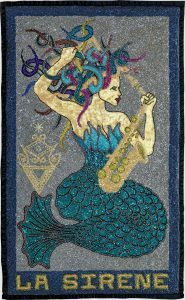 These unseen entities, or loa, act as intermediaries between the human and spirit worlds and exist in many nations and cultures, reflecting the melding of West African, Catholic and Haitian spiritual practices that inform the practice of Vodou. 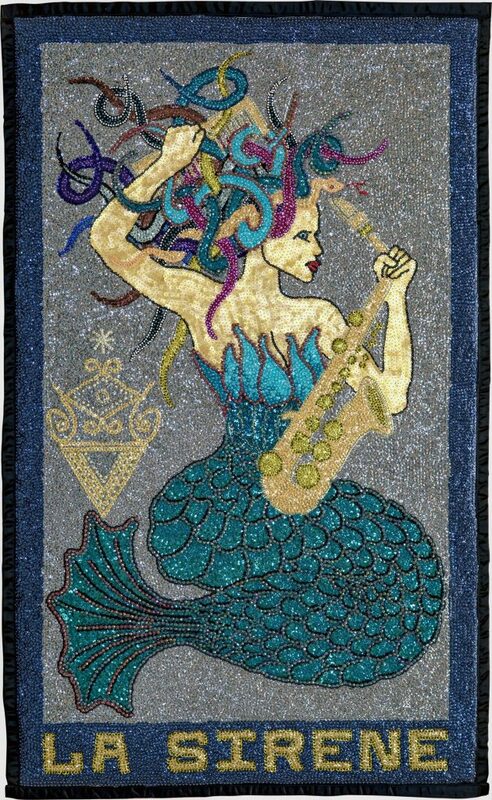 In Vodou ritual, sequined flags beckon these loa from beyond, bringing messages of faith and hope to the supreme spiritual force, known as Bondye, which represents pure goodness and the highest principle of the universe. Beginning in the 1960s, Tina Girouard was among a prominent group of artists from Louisiana who arrived on the national scene that included Keith Sonnier, Lynda Benglis, and Dickie Landry. These artists countered the more austere minimalist art being made at the time with exuberant color, eclectic compositions, and unorthodox new materials that reflected Louisiana’s diverse local culture. 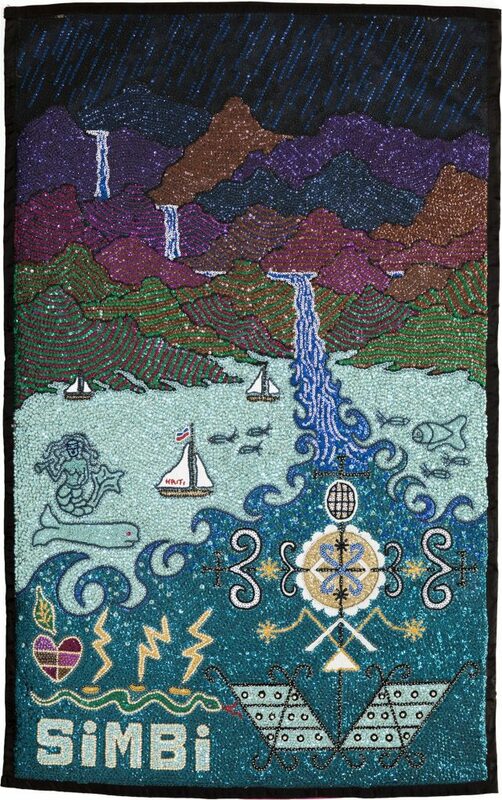 In works like these sequined flags, their art gave visibility to new voices and perspectives from within and beyond the borders of the United States. 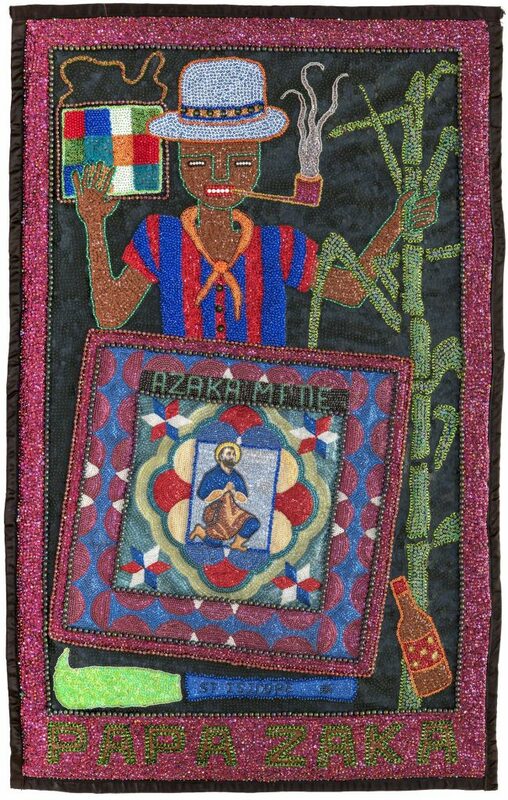 Bondye: Between and Beyond is co-curated by Nicolas Brierre Aziz, Curator of the Haitian Cultural Legacy Collection, and Katie A. Pfohl, Curator of Modern and Contemporary Art at NOMA. Related programs will include a solo saxophone performance in NOMA’s Great Hall by Dickie Landry, Community Conversation: Considering Cultural Exchange, a panel discussion with New Orleans creatives discussing expansive forms of cultural exchange, as well as more potentially adverse aspects of cultural appropriation; Art Primer: Five from Louisiana, a discussion with NOMA curators on five Louisiana artists who had gained international prominence: Robert Rauschenberg, Lynda Benglis, Tina Girouard, Richard (Dickie) Landry, and Keith Sonnier; and curator-led noontime talks. The New Orleans Museum of Art, founded in 1910 by Isaac Delgado, houses more than 40,000 art objects encompassing 5,000 years of world art. 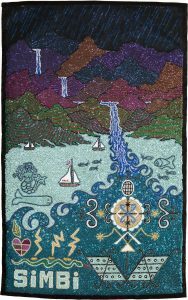 Works from the permanent collection, along with continuously changing special exhibitions, are on view in the museum’s 46 galleries Fridays from 10AM to 9PM; Tuesdays, Wednesdays, and Thursdays from 10 AM to 6 PM; Saturdays from 10 AM to 5 PM and Sundays from 11 AM to 5 PM. NOMA offers docent-guided tours at 1 PM every Tuesday – Sunday. The adjoining Sydney and Walda Besthoff Sculpture Garden features work by over 60 artists, including several of the 20th century’s master sculptors. The Sculpture Garden is open seven days a week: 9 AM to 6 PM. The New Orleans Museum of Art and the Besthoff Sculpture Garden are fully accessible to handicapped visitors and wheelchairs are available from the front desk. For more information about NOMA, call (504) 658-4100 or visit www.noma.org. Museum admission is free on Wednesdays for Louisiana residents, courtesy of The Helis Foundation. Teenagers (ages 13-19) receive free admission every day through the end of the year, courtesy of The Helis Foundation.